Research and Development Company “Promelectronica” is one of the leading Russian developers in railway automatics and telemechanics, providing full life cycle of their products. Promelectronica’s railway automatics have been operating at mainlines and approach tracks of industrial enterprises for 25 years. Nowadays, the developments of Promelectronica ensure safety and control of train traffic at all railways throughout Russia (Russian Railways (RZD), main lines and large industrial enterprises in Russia, Kazakhstan, Uzbekistan, Latvia, Lithuania, Armenia, Belorussia, Bulgaria, Indonesia and other countries world-wide. Promelectronica provides the full package of services – from design-and-survey and pre-commissioning works up to disposal, including maintenance, life-time supervision and modernization. Promelectronica has its own engineering centre in Ekaterinburg (including departments which develop station, track line and locomotive systems), as well as research laboratories, a design bureau, manufacturing areas, training centres and offices throughout Russia. Since 2006 the Company has been operating according to the requirements of the Quality Management System ISO 9001. High quality and reliability of Promelectronica’s products are recognized in Russia and abroad. In September 2012 one of the developments – microprocessor axle counting system ESSO – was successfully certified for compliance with CENELEC SIL4. Research and Development Company “Promelectronica” has become the first Russian company in railway signalling to be assessed for these requirements. In 2014 the microprocessor interlocking system MPC-I was successfully assessed for conformity to CENELEC SIL4. In November 2015 the axle counting system ESSO-M was certified for CENELEC SIL4. In January 2017 Research and Development Company “Promelectronica” successfully completed the audit for compliance with the International Railway Industry Standard (IRIS) for the second time (the first certificate was received in 2014). Due to their unique technologies Promelectronica’s products ensure a high level of train traffic safety in various operating conditions, at track sections of any length and of any volume of traffic. The Microprocessor interlocking system (MPC-I) is a centralized control of wayside objects (points, light signals, level-crossings etc.) at stations of any size and any type of train and shunting movement. 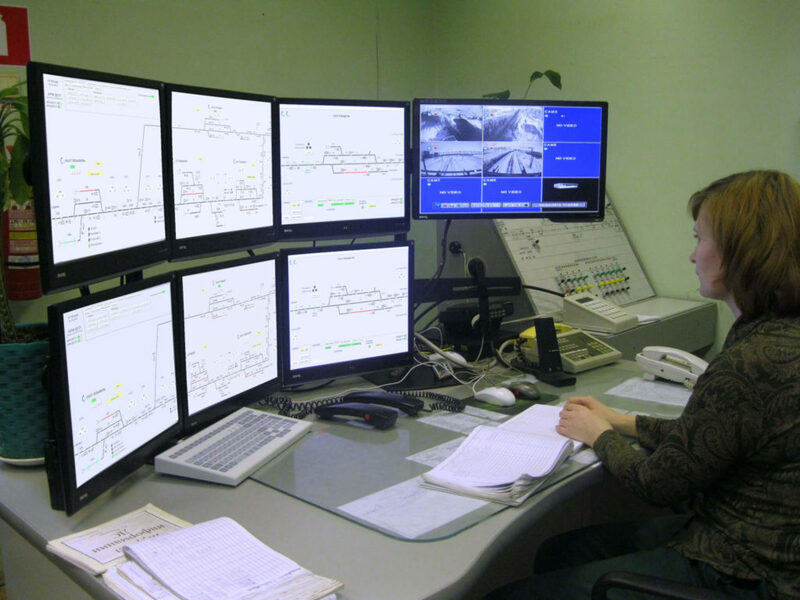 The main functions of MPC-I include automatic registering and archiving of system operation and station operator activities data, monitoring of system operation and train movements at station, single control zone of several stations managed from one point and several control zones at one station. Unified application on small, mid and large-sized stations (road junctions, separate posts and shunting loops) with train and shunting movements at main lines and industrial railways. It is convenient for design and maintenance of system. No retrain for maintenance staff after overpass to other stations and production period; supply period is substantially decreased as those do not depend on the station size. 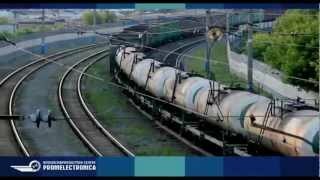 The ESSO-M Axle Counting System enables the control of vacant/occupied track sections. It displays the detailed technological and diagnostic information via LCD-panel with the intuitive interface, e.g. number of axles, passed over each CP (counting point) and direction of movement, pre-fault state of CP link. ESSO-M operates at any level of ballast resistance (even at zero), including track sections with metal sleepers and junctions and all-metal bridges. ESSO-M can be integrated with any existing signalling system in case of a new construction as well as modernization and total overhaul. Service maintenance within the life cycle. Higher operational availability due to diagnostics of pre-fault states. The Microprocessor Semi-Automatic Block System (MPB) preforms train traffic control at track sections with low traffic density. It is functionally similar to the relay semi-automatic block system, additionally ensuring control of complete train arrival at the station. MPB is capable of transmitting block-signals not only over physical lines but also using data transmission systems, i.e. VF channels, FO lines, and radio channels. automatic block-post arrangement. Dependency logic of block-post is performed by a MPB controller, not requiring any changes in hardware or software controller units. Conversion of sections equipped with MPB on CTC control. The Non-Relay Level-Crossing Protection System (MAPS-M) enables automatic control of level-crossing signalling equipment to ensure train traffic and automobile transport safety at level-crossings. MAPS-M is a completely automatic, low-maintenance system which in cases of normal operation does not require any additional user activities. The system provides the detailed diagnostic data regarding system state and archives the data. This results in the detection of pre-fault states and significantly reduces time for troubleshooting. Proper operation control of MAPS-M units is the function of level-crossing signalling equipment. All data is displayed on LCD touchpad with a user-friendly interface. Reduced commissioning and operational expenses due to the lack of schemes, realizing LC signalling relations.